The report is disclosed by the World Economic Forum. The report describes the changes occurring in the global risks landscape from year to year and identifies global catastrophic risks. 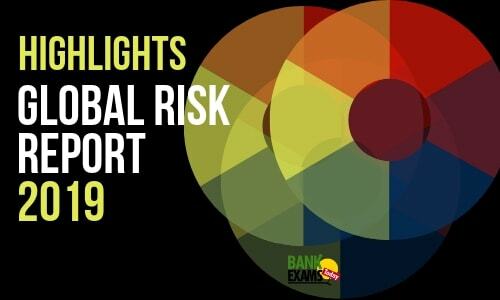 The report analyzes the interconnectedness of risks and is expected to raise awareness about the need for a multi-stakeholder approach to the mitigation of global risks. Massive incident of data fraud. Large scale of cyber attacks. Man made environmental damage and disaster. Asset bubbles in the major economy. Global risks are intensifying, but our capacity to respond to them is declining. Geopolitics and geo-economic factors, such as uncertainty and nationalism are fuelling risks. Shorter-term fears are around geopolitical and cyber threats. There is a significant financing gap in infrastructure capital.